LEB Silver newcomer Queseria La Antigua CB Tormes landed 29-year old Senegalese ex-international swingman Louis Adams (193-91kg-90, college: Eastern Florida State). He played recently at Douane in Senegalese D1 league. Adams has played there for the last three years. He was also a member of Senegalese international program for some years. Adams played for Senegalese Senior National Team between 2007 and 2017 and previously for U18 National Team back in 2008. 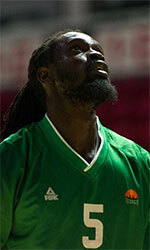 He also represented Senegal at the Afrobasket Championships two years ago. 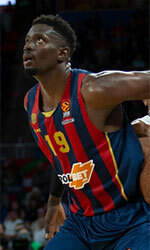 Adams' team won Bronze and his stats at that event were 6 games: 4.7ppg, 1.7rpg, 1.2apg. Adams is a very experienced player. He graduated from Eastern Florida State in 2012 and it is his seventh season in pro basketball.